Control odor problems. 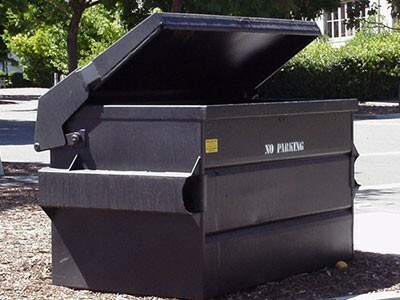 Employees, customers and guests are not offended by foul odors from compactor areas. Slow food deterioration with a chemical additive which helps improve overall sanitation. Eliminate costly purchase, storage and handling of chemicals. The odor-neutralizing chemical is refilled each month as a part of the monthly service at no additional charge. Chemical safety documentation (Material Safety Data Sheet) is provided. Save labor and repair parts expense. No need for maintenance or engineering personnel to spend time diluting and spraying expensive chemicals or maintaining equipment. Repairs and replacement chemicals are included in each monthly service call at no additional charge. Site requirements include: 1) a 110-volt electrical service and 2) access to a water outlet for refilling of premixed chemical deodorant. A professional service technician installs the unit to the customer's specifications. Up to three nozzles are standard with the system. Once the system is in place, our technician provides monthly service that includes the following: 1) document chemical usage and timer settings; 2) re-fill the chemical supply; 3) inspect all equipment, fittings, hoses and timers; 4) make any repairs or adjustments required at no additional cost; and 5) report any general safety issues to the customer or trash hauler as needed. Call our toll free number, 1-800-882-2542 and let one of our customer service representatives know that you would like to meet with one of our representatives, or let us know that you are ready to have a unit installed. We will send a service technician to your location to survey installation requirements and to install your system so that we can resolve your compactor odor problems immediately! Free Technical Advice, Free Estimates, Call Today.